Just to prove I actually do some knitting once in a while I thought I would show you some Finished Objects that were just waiting to come back from college for their close ups. (We have very smart sweaters here, we send them to college). This is a lot of texture work for me. But it is what she asked for and I am all about the pleasing. Doesn’t the vest look like perfect “teacher” clothes? She starts her student teaching in January, so we are trying to fill her wardrobe with appropriate clothes. I think this little vest with a cute skirt or slacks will fill the bill. 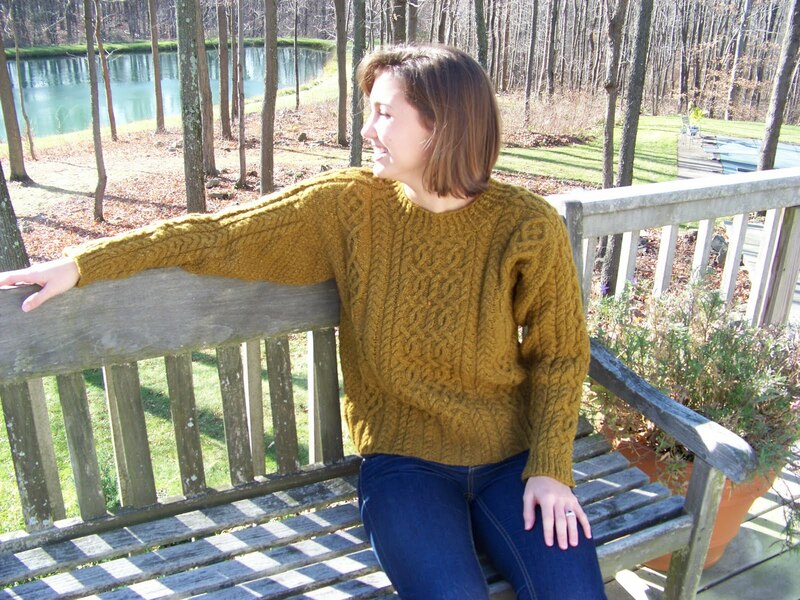 The Aran pullover is my version of a sweater from A Fine Fleece(love this book). I worked it top down and made it saddle shoulder as well as some other modifications. 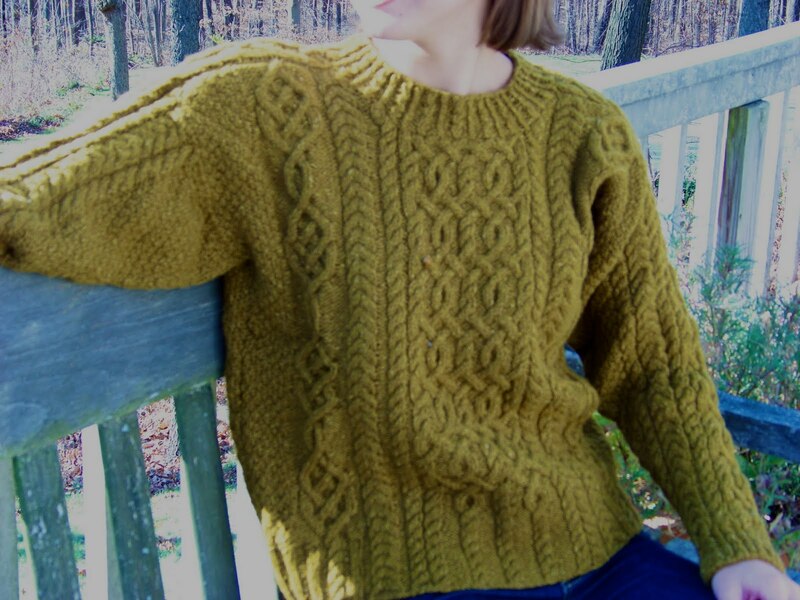 I am working on a pattern for the vest so look for it soon on my Ravelry page. Since I know you are super bored and have absolutely nothing going on in your life right now, I thought I'd let you know that I'd like a copy of Mooshy's vest. It is just beautiful and fits her to a tee! 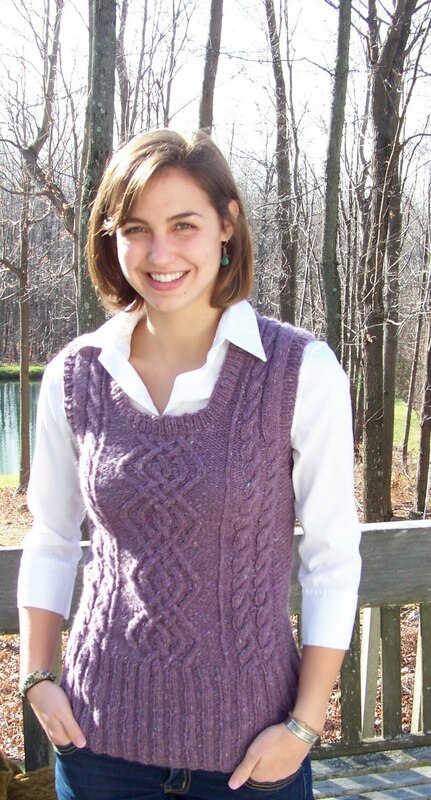 The sweater and vest are beautiful, and so is the model! Congratulations on all counts!